Justice League director Zack Snyder recently answered questions on the social media platform Vero. Via Heroic Hollywood, one question for Snyder was about a scene cut from the movie. 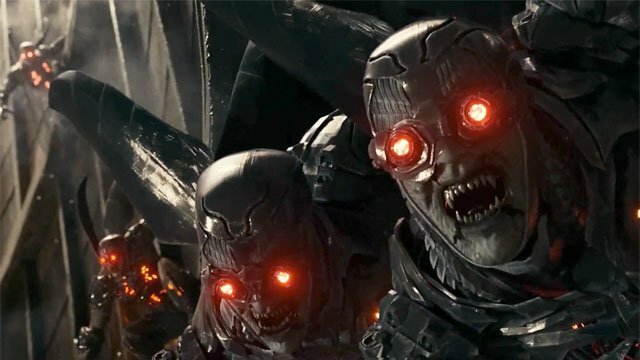 In the completed movie, the Parademons are an army under Steppenwolf’s control. However, Snyder confirmed the original plan for the henchmen from Apokolips was something else entirely. 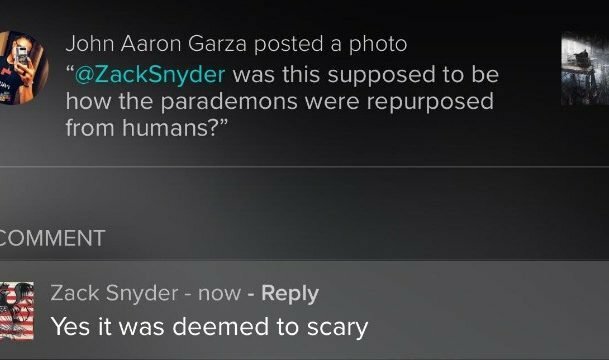 Humans that become Parademons is a horrifying idea, but was it really “too scary” for movie fans? Justice League concept artist Victor Martinez originally posted the image on his page. Follow this link to see the full horror that this transformation would have shown on screen. In full size and great detail it is chilling and could have earned Justice League an R rating. The concept artwork shows Batman within a nest of harvested humans mutating into Parademons. In recent years the Parademons of DC Comics have been revealed to be the re-processed and deceased corpses of those conquered by Darkseid and Apokolips. The Parademons debuted in Jack Kirby’s New Gods #1 in 1971. Originally chosen from the denizens of Apokolips these villains attack like a swarm of insects. That’s scary enough on its own, but to discover they were once human…That is a terror Batman hasn’t seen since the Joker cut off his own face. It’s understandable why the studio decided this idea was too scary, but it could have added so much to the maligned Justice League movie. Destroying a mindless minion is one thing, but ending the life of a monster that was once human could have caused greater conflict for all of the heroes. Would this concept have been too scary for the Justice League? Or was it just the thing the film needed? Let us know in the comment section below!